"This luscious dessert has the delicious flavor of spiced apple cider and gingerbread. A refreshing dessert summer or winter." Drain pears, reserving 1/2 cup of juice. Puree pears in food processor or blender. 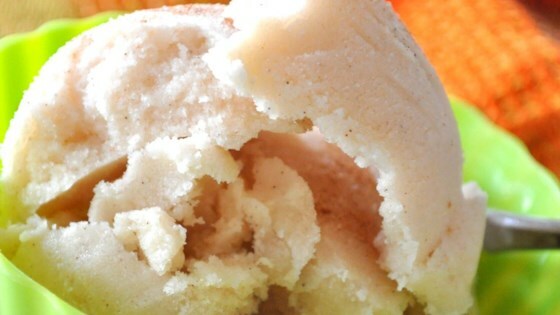 Combine pears, reserved juice, yogurt, sugar, cinnamon and allspice in canister of ice cream maker. Freeze according to manufacturers' directions. Fabulous flavor! I made mine with pears in light syrup, Splenda, and low sugar, fat-free yogurt. I was very pleased with the results as were my guests. Will definitely be making this again.